Was I ever going to feel at home? Posted byAditya Kane	 December 29, 2015 3 Comments on Was I ever going to feel at home? Last week, I got myself a place in Pune. A new place that is small, decent and comfortable. I am now living in one of these well laid out, planned townships that were probably farmlands in 2005, the year I had previously moved from Mumbai to Pune. Mumbai remains home. I have family there and probably will spend a good number of days every month there. But my new dwelling where I am staying much of the week, was at first comfortable and useful. Thanks to having a lot of colleagues around, my social life was suddenly pretty active and I am making good friends. But the new place felt impersonal, new and odd. It did not feel warm as a house would (maybe the Pune winter has something to do with it), it did not feel like I belonged here. I was a bit worried wondering if I was every going to feel at home here. Then today, I managed to come along home a little earlier than my usual time. It was before the sun had set for the day. As I made some coffee for myself, I saw out of my 11th floor window this view. 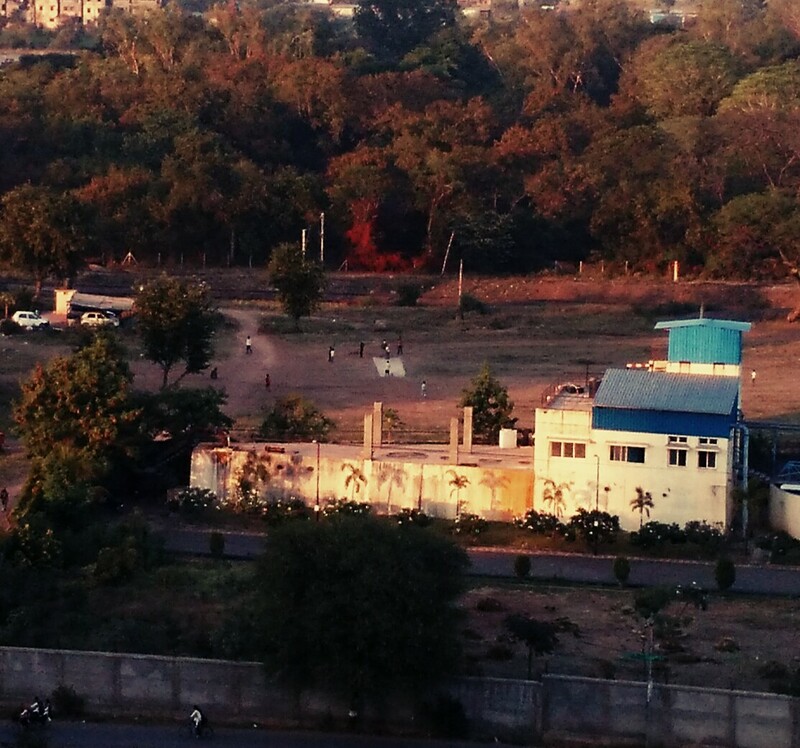 Some kids were playing cricket at a distance over a concrete pitch. I felt a bit at home, remembering a long gone yet familiar time of playing cricket with friends during school holidays. This was good. I think I feel at home. For me the concept of “home” is long gone. I have moved so many places – Nagpur/pune/Hyd/pune/KL/AKL that now the feeling of coming home is no longer there. Even my ancestral home in Ngp is now being torn down so the “home” is no longer there either.